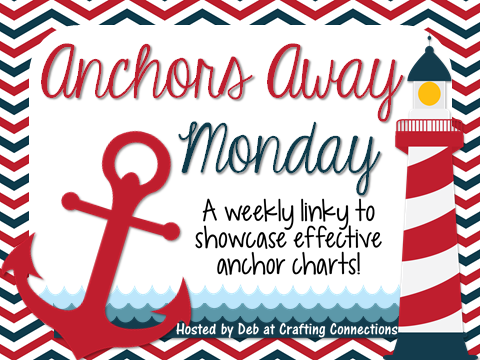 Today I want to highlight an anchor chart I found on Pinterest that I absolutely adore! I did not make this anchor chart! This particular chart was made by Nancy at Teaching My Friends. She credits getting the idea from a chart made by Danielle Mahoney at the Scholastic blogs. I have always loved reading so I was super-excited about my new position. However, one week into the school year, I was overwhelmed, to say the least! In this reading position, I saw 8 groups of 4th and 5th grade readers during my morning at school. I could barely keep up reading all 8 chapter books at once and trying to stay ahead of my lesson plans. I loved reading the books and having some deep discussions with students, but I felt like I was drowning in a sea of books, lesson plans, and response sheets! Unfortunately, I didn't even know about TeachersPayTeachers at the time... that probably would have helped me a lot, too! 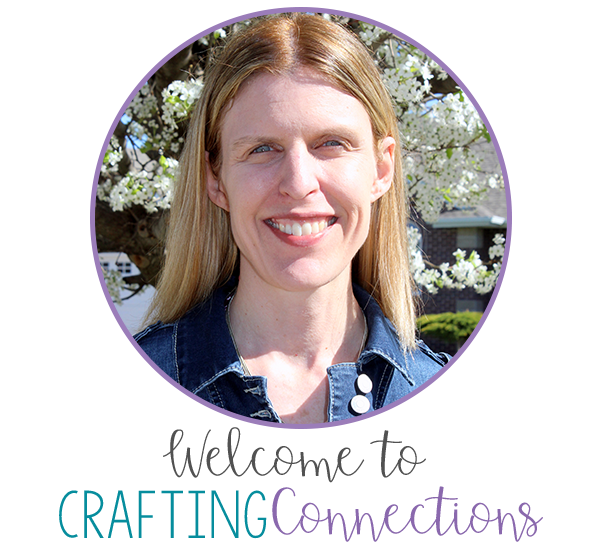 Instead, though, I spent countless hours creating graphic organizers, book response forms, and "skill bookmarks" to go along with most reading assignments. (Have I mentioned that I am a bit of a perfectionist?) Just remembering those years makes me feel weary! Near the end of that first year, I decided that it shouldn't have to be that difficult, and I started handing out more sticky notes and telling students to write some sort of response. Anyway, back to the anchor chart...I love it for several reasons. 1. It keeps things simple! 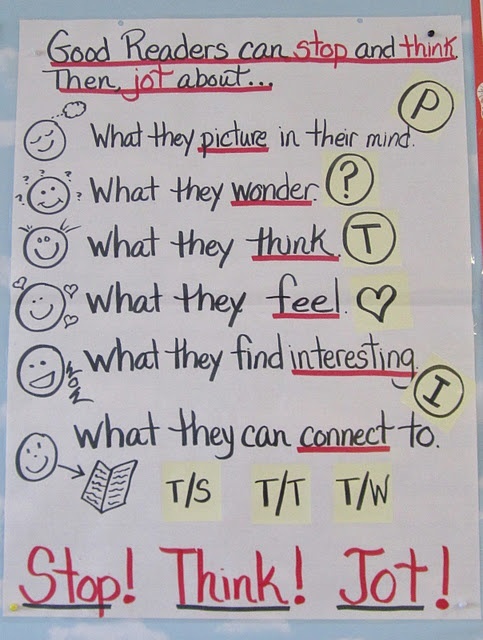 This anchor chart could be hung in your library area and displayed all year long. 2. It puts the responsibility on the reader. 3. Students are reminded that comprehension and being an active reader is KEY! Click HERE to download my lesson plans for this popular book (Guided Reading Level M). Click HERE to download my lesson plans for this heart-wrenching, powerful story related to the Holocaust. Hi Deb - I'm running terribly late. I did try to link up - maybe I'll make it on time next week - I have school on Monday and Tuesday (half day). I hope you're on break - enjoy! I cannot get the link to work for the Flat Stanley Plans! :( Anywhere else i can find them? I cannot get the link to work for the Flat Stanley plans either.